This statistic shows the results of a survey conducted in the United States in February 2017. U.S. adults were asked if they have a general practitioner (GP) who they always go to when they are sick. 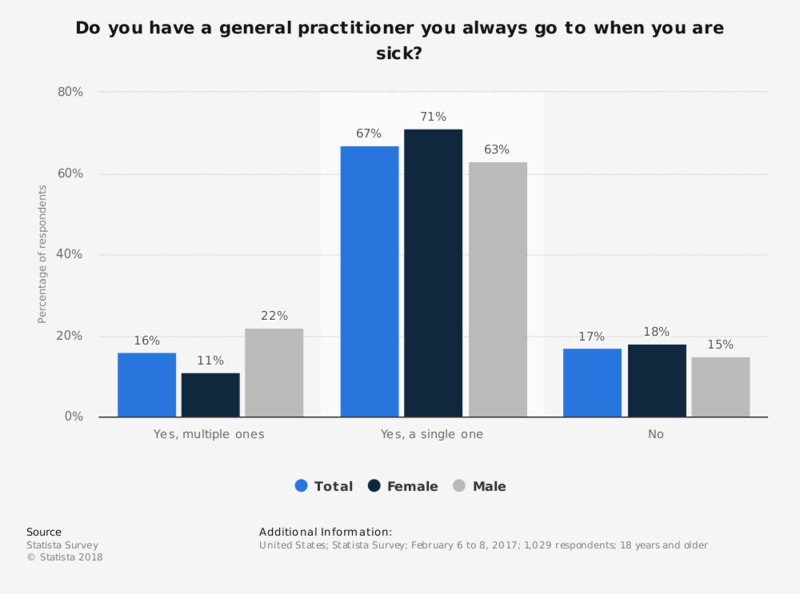 In total, 67 percent of respondents stated that yes, they visit a single general practitioner if they are sick.